Never a good idea. And not something you want to take too much time thinking about. 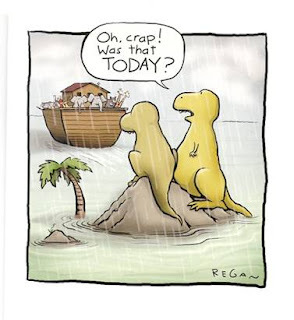 So that's how they became extinct. That is so funny I really did LOL! I need this framed in my house somewhere! That's why I like to be early! Very cute and VERY true!! but grandma j why do today what can be put off till tomorrow? I like to think of it as being slow!